The agent snapped a picture of the girl’s boarding pass and posted it on social media, according to her mother. Southwest Airlines has apologized for a gate agent who reportedly laughed at a 5-year-old passenger’s name — Abcde — all within earshot of the girl and her outraged mother. The incident unfolded at John Wayne Airport in Orange County, California, on Nov. 2 when the employee noticed the young passenger’s unique name, pronounced “Ab-city,” the girl’s mother, Traci Redford, told KABC-TV in Los Angeles. 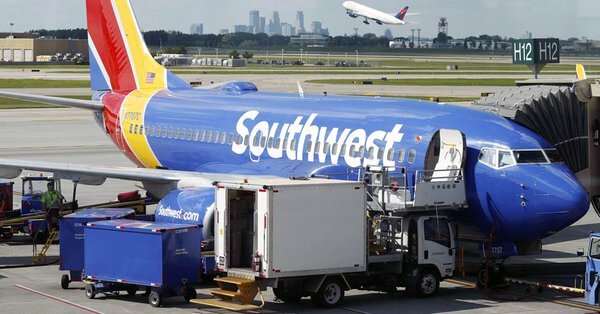 “The gate agent started mocking my child’s name laughing, pointing at me and my daughter, and talking to other employees,” said Redford, who was flying with her daughter to El Paso, Texas. Redford couldn’t believe her ears when other SWA workers joined in the laughter, all just feet away. Name shaming? This Texas woman claims a @SouthwestAir agent made fun of her 5-year-old daughter's name as they were preparing to board their flight at @JohnWayneAir in Orange County. “So I turned around and just said: ‘Hey, I can hear you, so if I can hear you, my daughter can hear you, too. Like, I’d appreciate if you could just stop,'” Redford said. The agent even snapped a picture of Abcde’s boarding pass and posted it on social media, according to Redford.